Inspiring others to achieve personal and professional growth, through ongoing periods of instability and challenging environments, while balancing professional mandates with personal well-being. Her interests lie in the discovery and understanding of all forms of movement and self-development, and how the body and mind can connect through a shared experience. 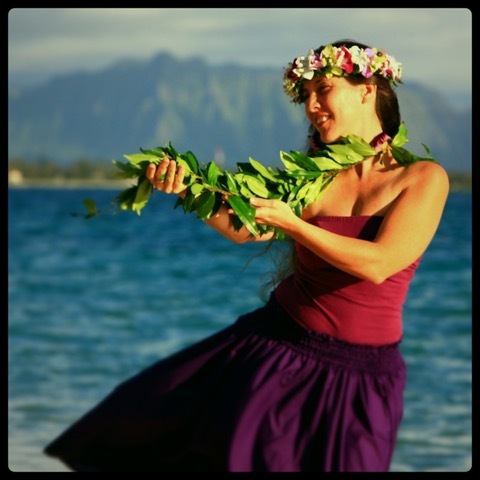 Her role at Hoa Hele Retreats is to draw on 20 plus years in the performing arts industry, to develop unique experiences that nurture personal growth through the mind and body arts. Renée brings great enthusiasm to every class and event she leads. As the founding Director of Still & Moving Center, Renée is motivated by the motto: Move your body. Still your mind. Find center, Find Joy! Now a 1st Degree Nia Black Belt, Renée has been moving and sharing the Joy of Nia since 2002. Considering herself a citizen of the world, Renée brings under one roof mindful movement practices from around the globe. Renée began teaching gymnastic classes at age 15 and became the captain of her college gymnastics team. After graduating with a BA in Poli Sci and earning a Multi-Subjects Teaching Credential from UC Santa Barbara, Renee taught elementary and junior high school English and Drama for 9 years. When she and her husband Cliff started having their three children, Renée left school teaching to administer the family construction company. In community service, Renée served as board trustee of the educational non-profit organization the Institute of World Culture in Santa Barbara, CA. In 2002, with her husband as the licensed contractor, Renée became the president of Prometheus Construction here in Hawaii. Renée missed the physical activity of her earlier years. Fortunately, Renée also found the joy of Nia in 2002. She took all of her Nia intensive trainings at Nia International Headquarters from the two co-creators of Nia: Debbie Rosas and Carlos Rosas. Renée has been teaching Nia since 2003 and is a certified Nia Black Belt, 1st Degree. Renée says, "Through Nia I realized that I was born to dance...and perhaps everyone is! For me, Nia is a connection to pure Joy. My aspiration is to extend that joy into the rest of my life and share it with every student who steps into my circle. Nia embraces both the yang and yin energies, helping all of us to balance our natures. Nia is all about awareness. If you are ready to bring greater awareness to your life, Nia may be for you. Nia is a moving meditation for me, as well as a chance to play like a child again! I like to think of my classes as invigorating the body and elevating the spirit."